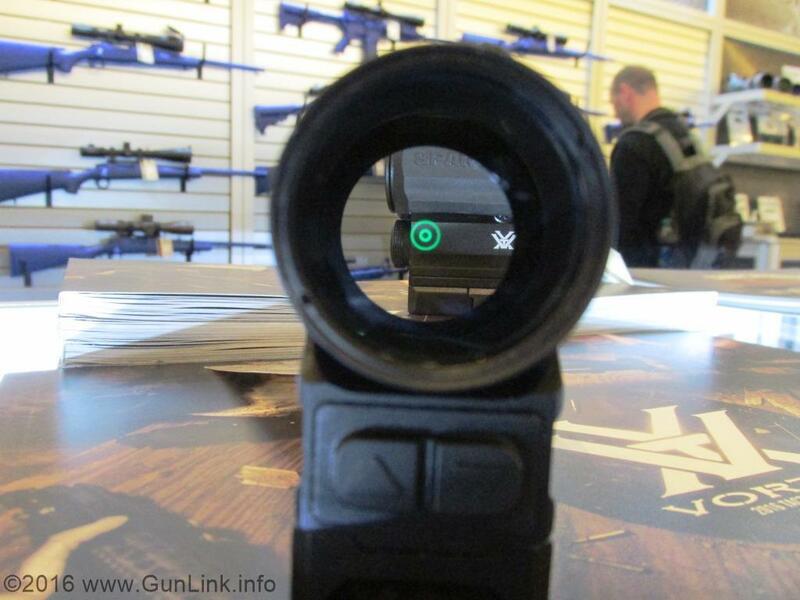 Re: The GunLink 2016 SHOT Show Thread - The Wait IS OVER! 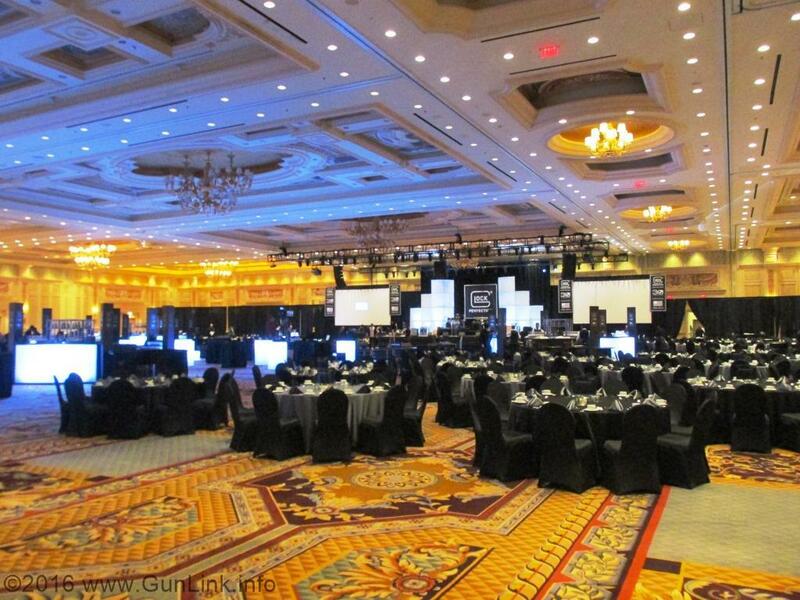 Looks like a good time. Keep it coming! 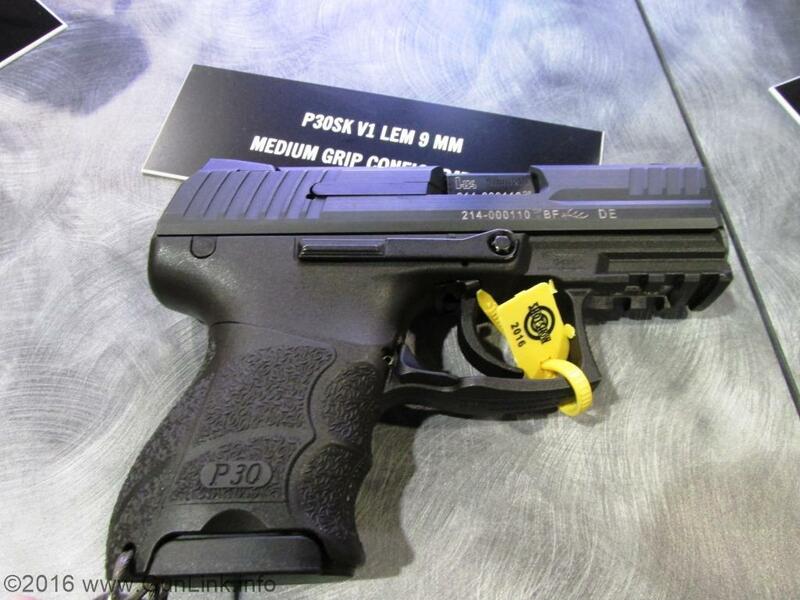 HK had a couple of their newer pistols at the show, including the P30SK SubKompact and the VP40. 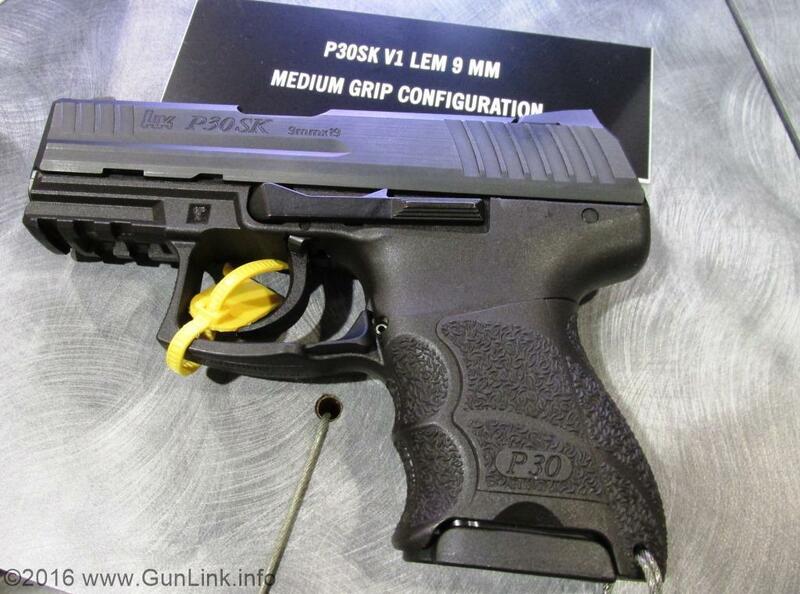 The P30SK is the "SubKompact" version of the P30 models and shares the same features, including a fully adjustable grip, ambi controls, and multiple firing modes. 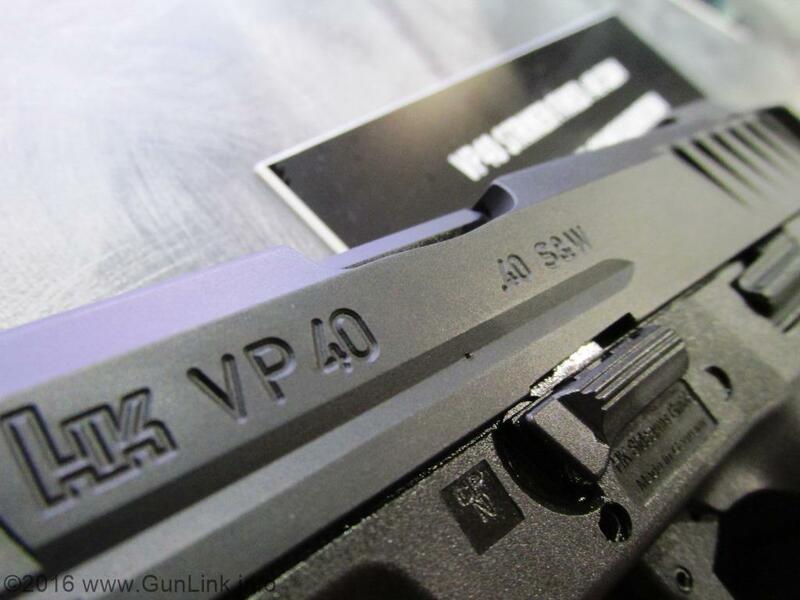 The VP40 is, of course, the .40 S&W chambered addition to the VP line, which we covered in the VP9 at last year's SHOT Show. 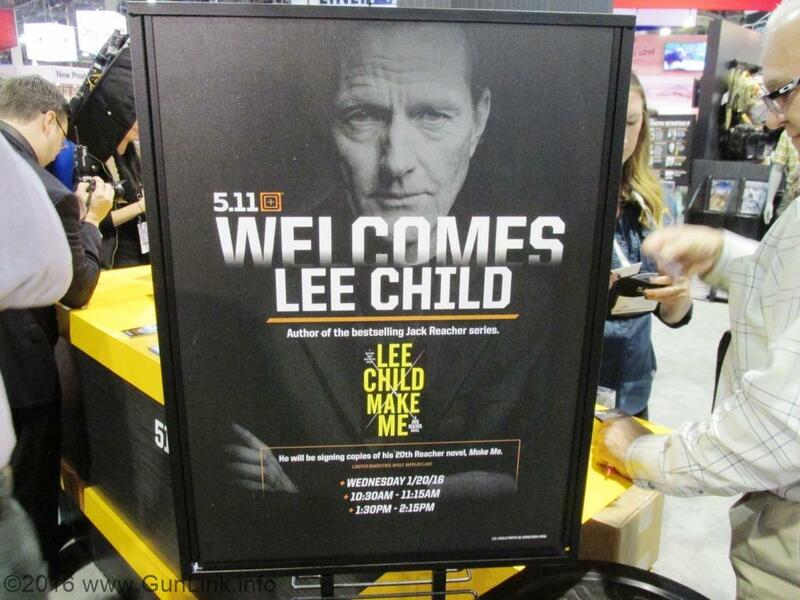 As well as signing Jack Reacher's toothbrush. Don't leave home without it. 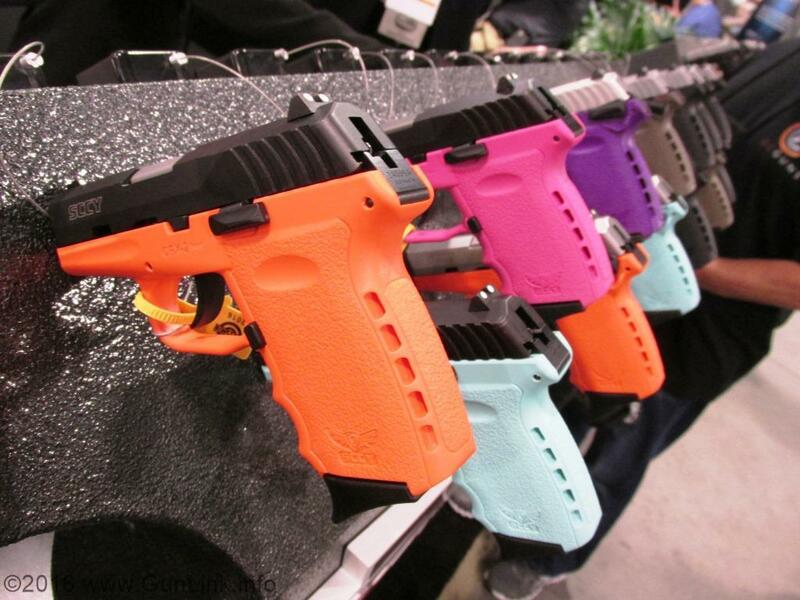 Many “womens” line of handguns and rifles are scaled down versions of the original that were designed with men in mind. 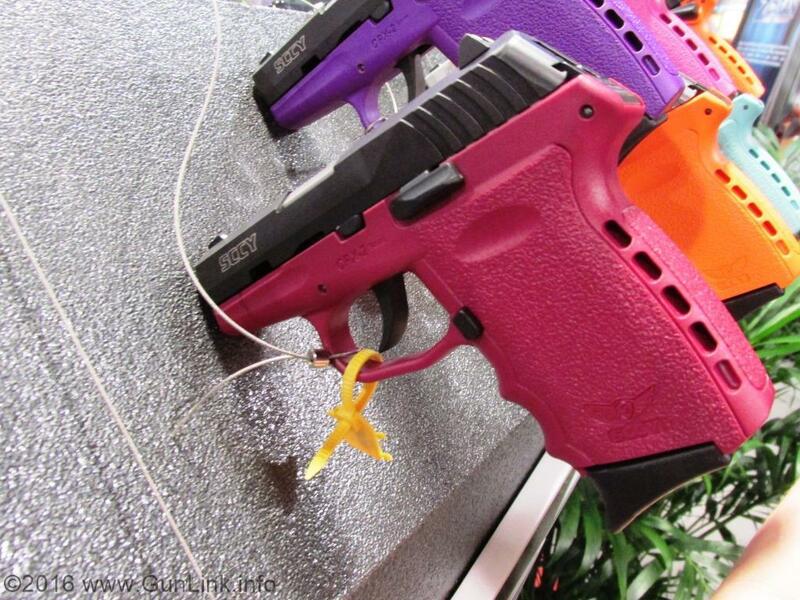 A few manufacturers have been designing handguns with women in mind, but the normal outcome is a slightly smaller version of the original that is painted in pink or purple. 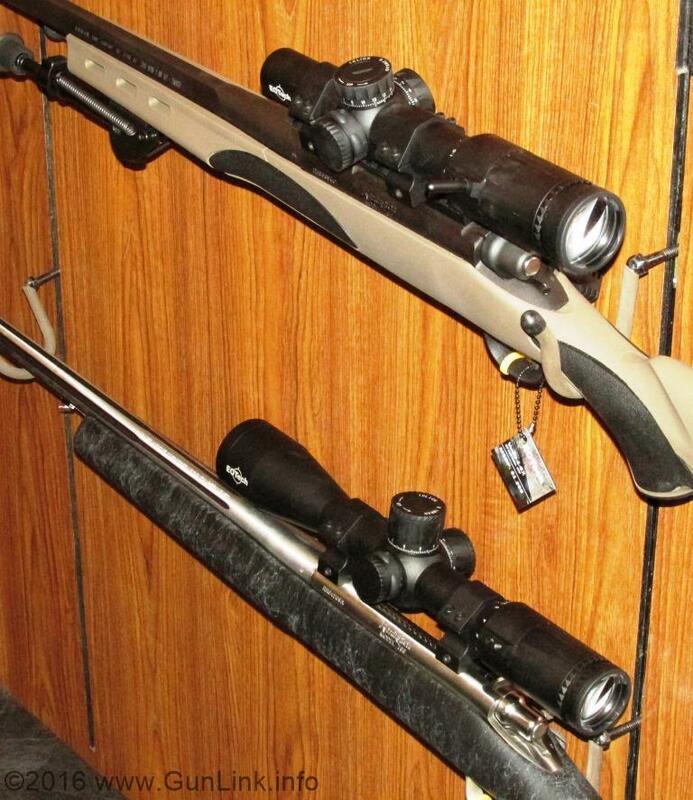 Many of the rifles are the same as the original, but with a child-sized stock to make it smaller. 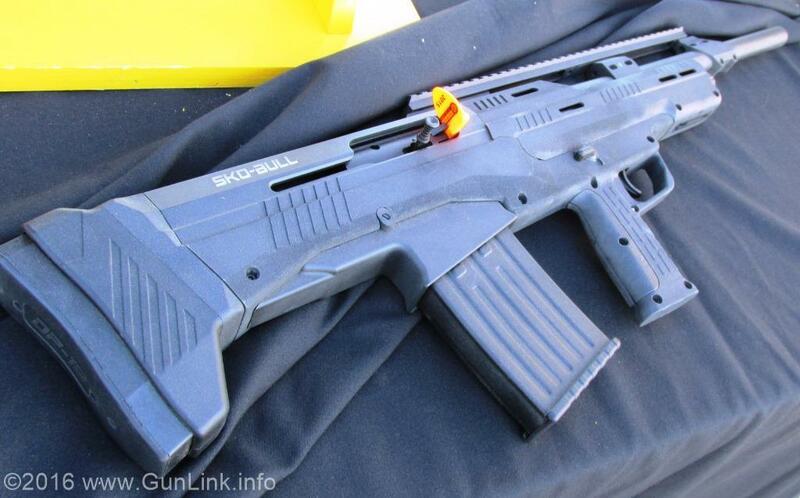 The end result is ill-fitting weapons that normally painted an awful color, pink. 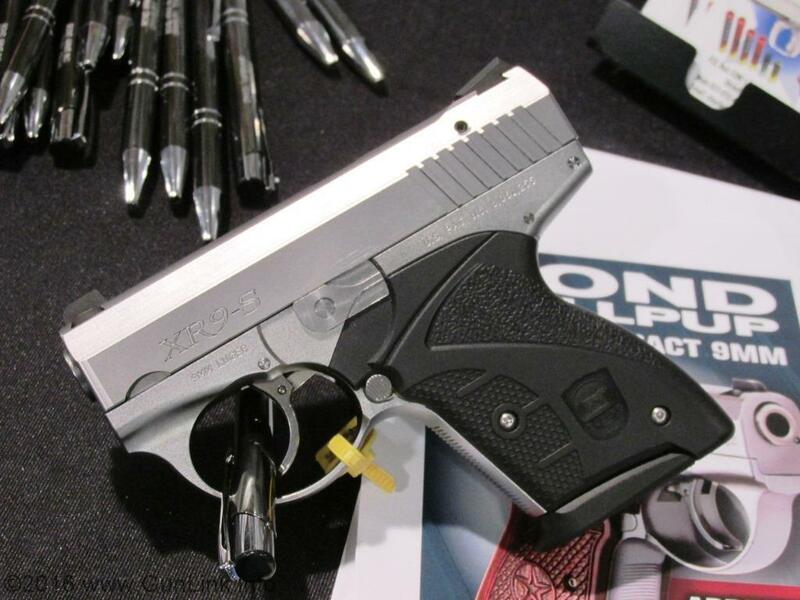 In recent years, there has been a growing number of companies that have been using women to design handguns and rifles specifically for women. There are many obvious differences between men and women, but these subtle differences, such as neck length, are also being considered. According to the NSSF, approximately 19% of hunters are women. That means 3.3 million hunters a year are female. Women are also the fastest growing segment of shooters on the market currently and there are still only a few weapons that are meant for women. While the number one reason for women to own a weapon is self-defense, the close second is the desire to learn to hunt. 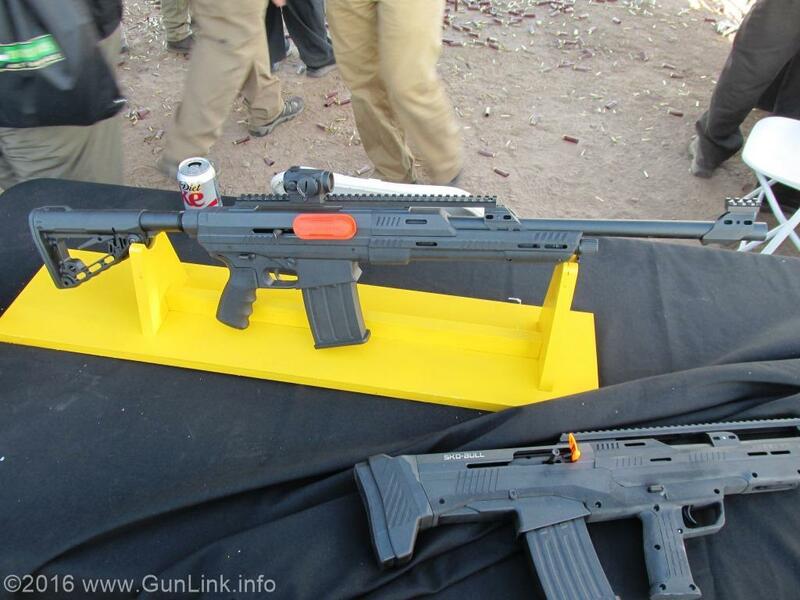 An important tool for any hunter is a good, reliable shotgun. 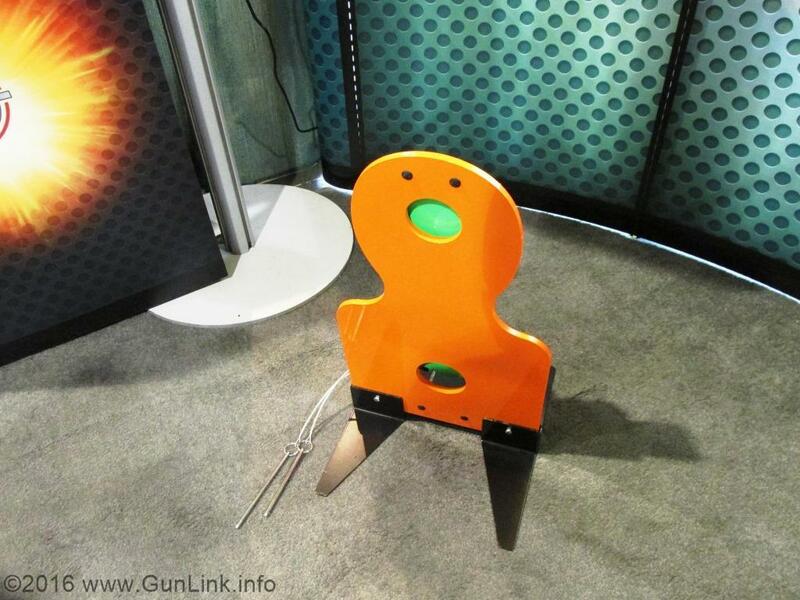 A common fix for shotguns to make them usable by women is to add a youth-sized stock. The biggest problem with this route is that the smaller stock makes the gun top heavy, long, and the recoil is much more noticeable. 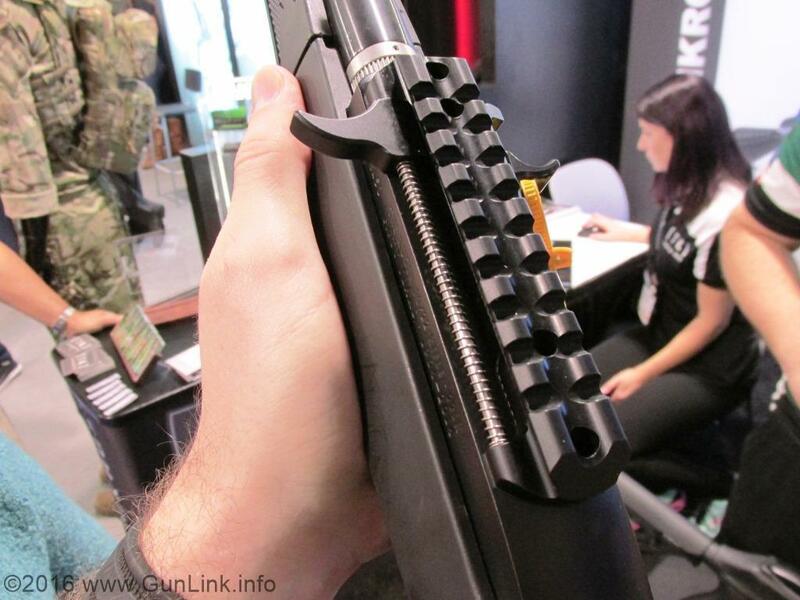 A few companies have been designing shotguns that are actually meant for women. 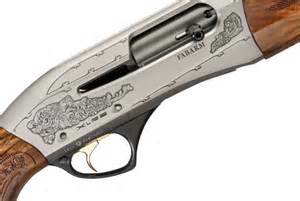 Syren, a division of Caesar Guerini and Fabarm, has been designing shotguns for women for a couple of years. The stock has been modified to not only be shorter, but to be taller, called a Monte Carlo, to allow for a better cheek weld since women have longer necks. 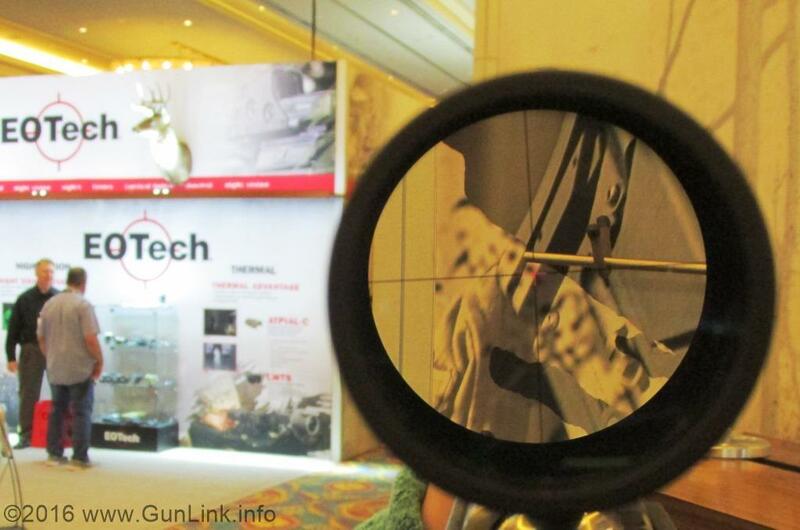 The stocks are also canted to allow for the stock to rest at the shoulder better to help minimize recoil. 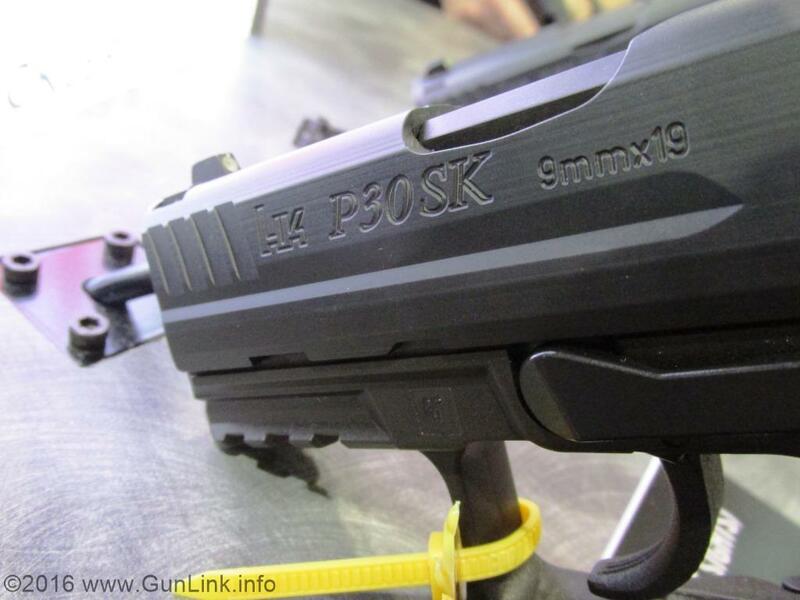 They are overall lighter, most of the shotguns are under 8 pounds, and are balanced differently to account for the changes. 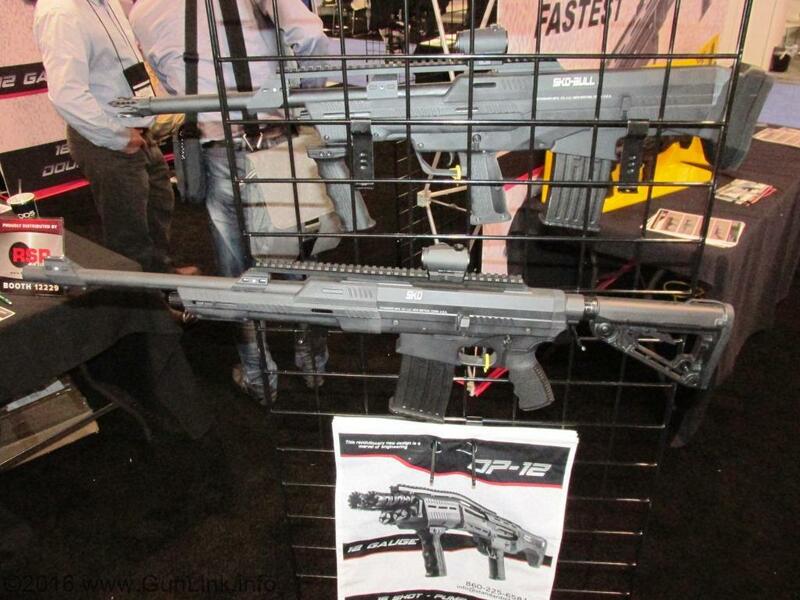 The guns are also designed have a feminine touch without being pink. 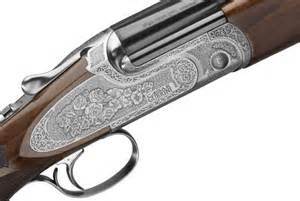 Syren currently offers 5 styles of shotguns in a variety of formats and gauges to account for individual use. 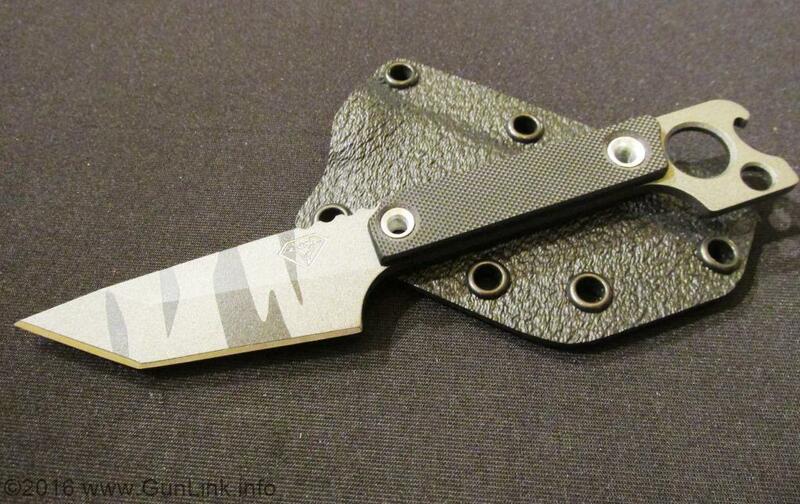 These are on the pricey side, with some packages costing as much as $7000. If you are a female hunter and are tired of using an ill-fitting weapon, check out some weapons that are meant for you. 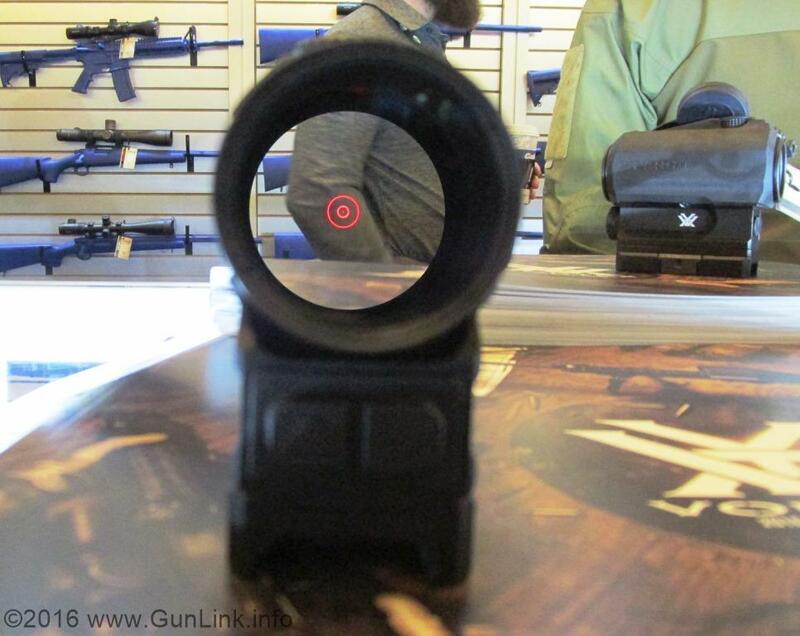 I ran into some guys from back near my old stomping grounds who are making some great AR500 targets. 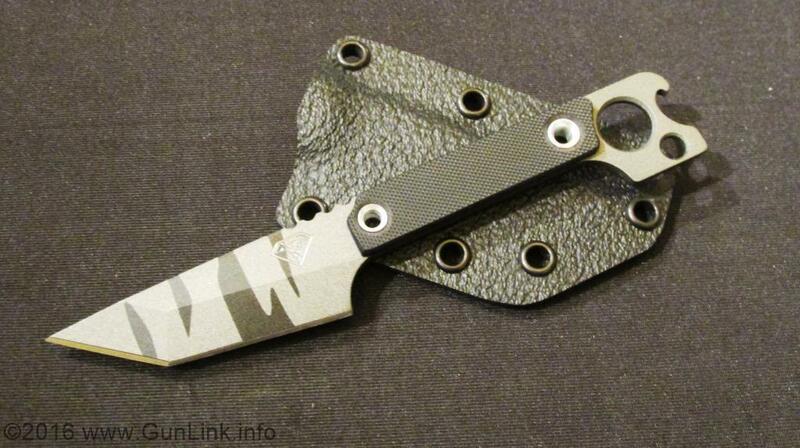 Packable, adjustable, durable, and fun. Everything you want in a target, right? We'll have to pay them a visit next time we're in the area and bring you a little more info about them. 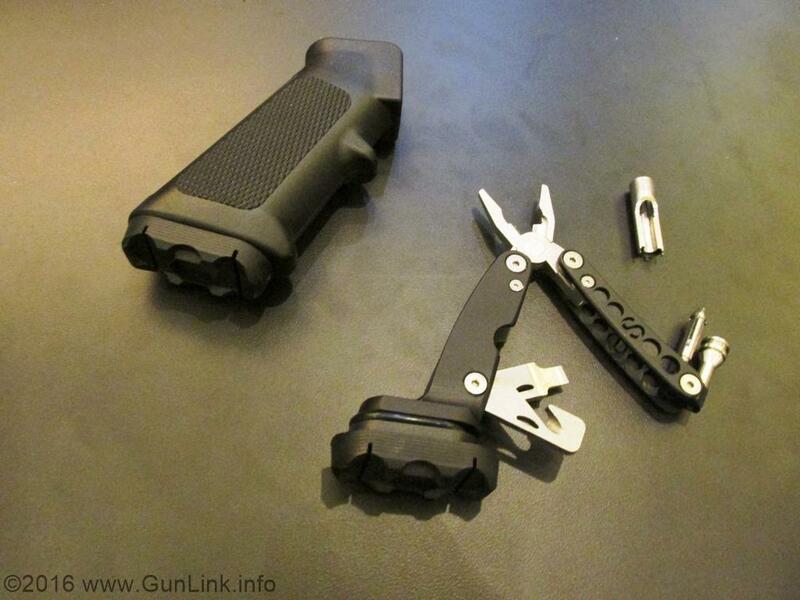 A multi-tool with scrapers, pliers, front sight tools, broken shell extractors, and more. We got to see Liberty's new Cosmic can. It's like the Mystic, but bigger, badder, and tougher. 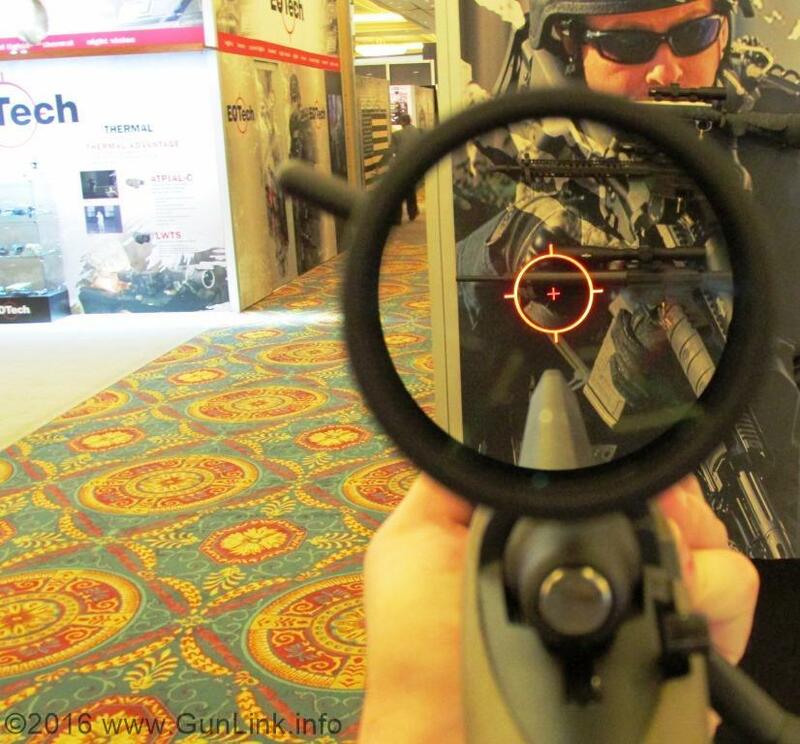 What can you shoot through it? 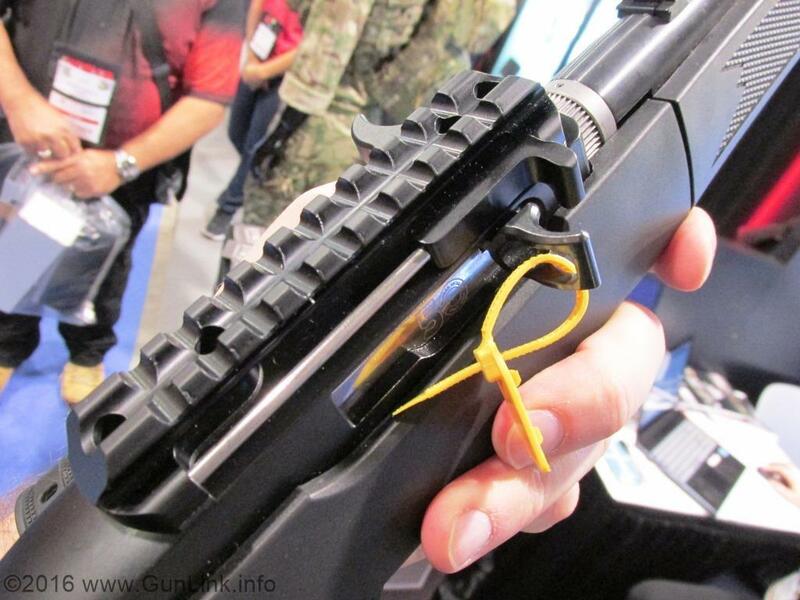 458 SOCOM-NOT RECOMMENDED TO BE HEARING SAFE. 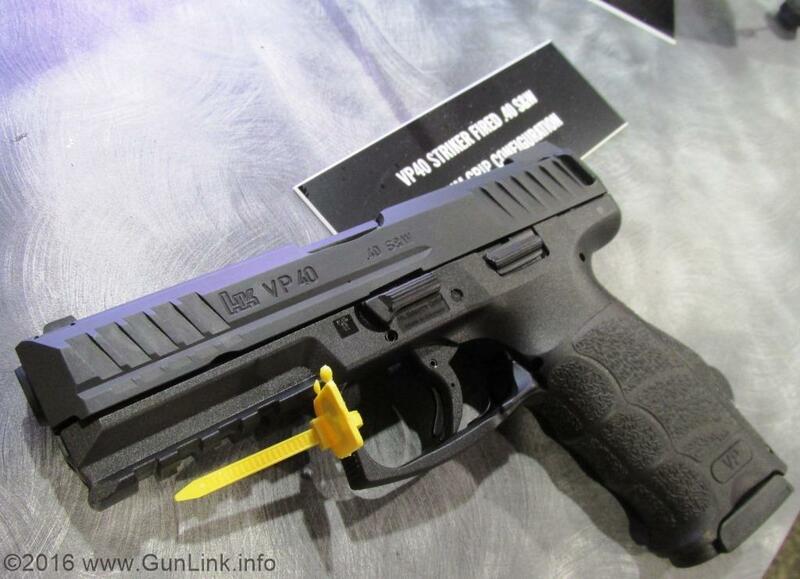 BUT THE SILENCER WILL HANDLE IT. 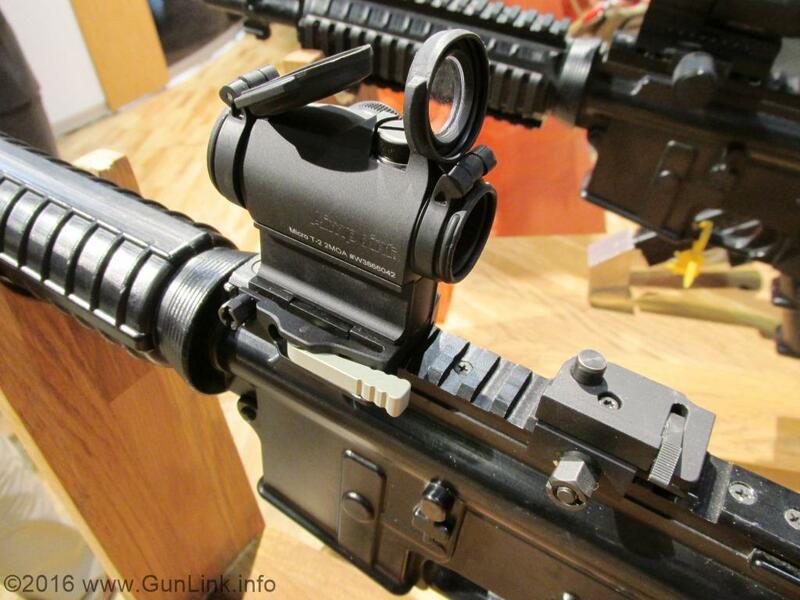 450 Bushmaster-NOT RECOMMENDED TO BE HEARING SAFE. 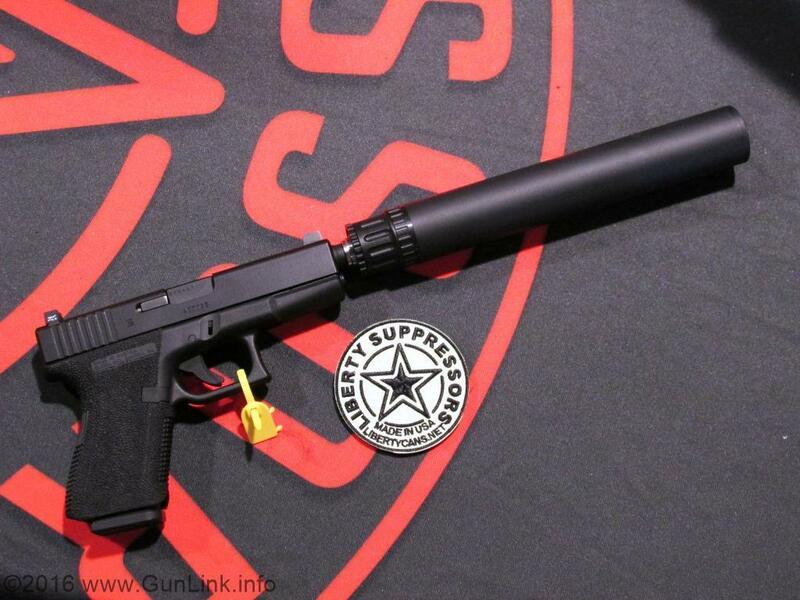 BUT THE SILENCER WILL HANDLE IT. 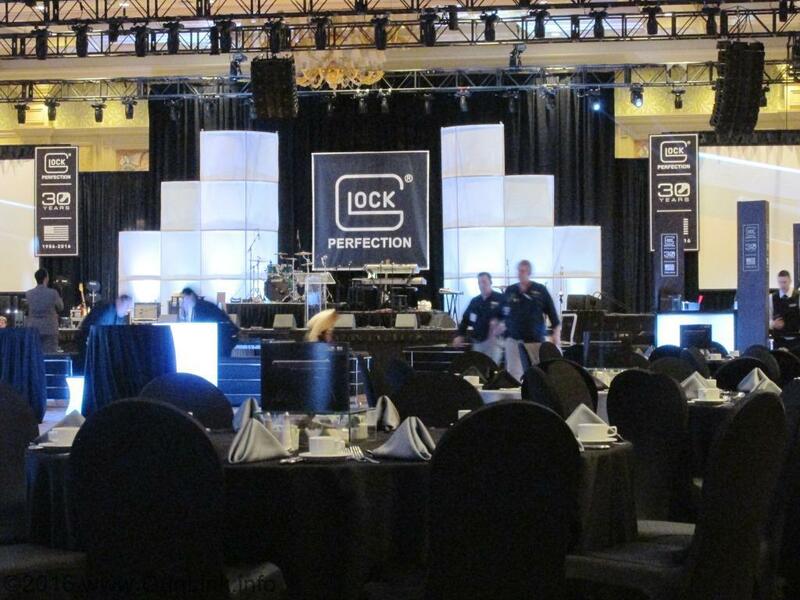 We helped introduce you to the HandiRacker a couple of years ago. 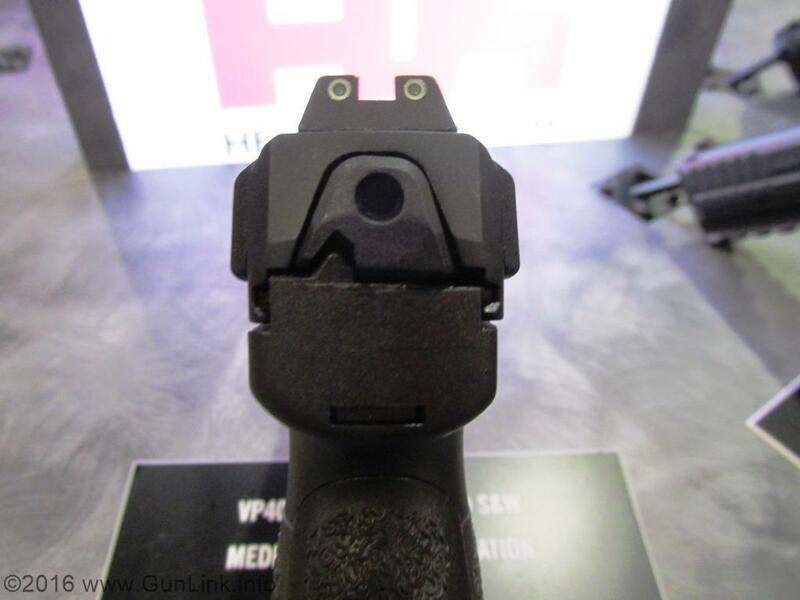 It's a little block of polymer with cutouts for you to fit your firearm into to make it easier to rack the slide - perfect for owners of pistols with stiff recoil springs that give them trouble. 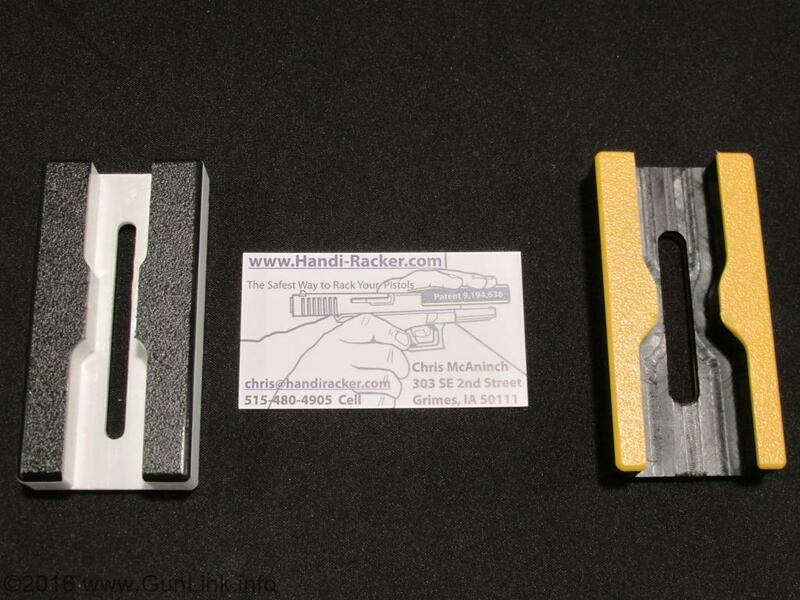 Handi-Racker used to come in four different flavors to accommodate a variety of sizes. 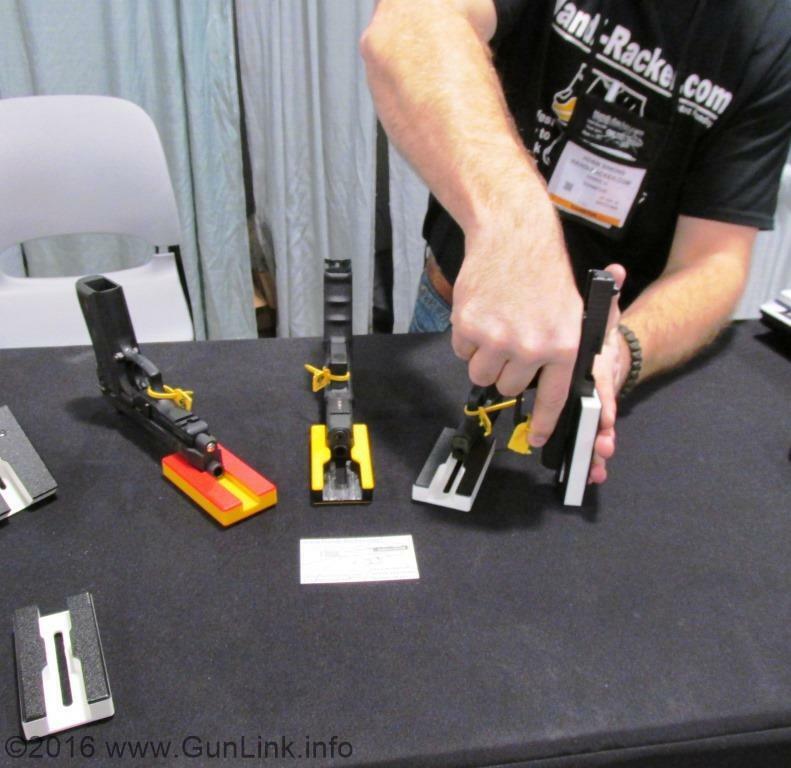 This year, Handi-Racker has made some changes to make the product more versatile by combining two sizes onto a single block, reducing their product line to just two blocks to accommodate all four sizes. 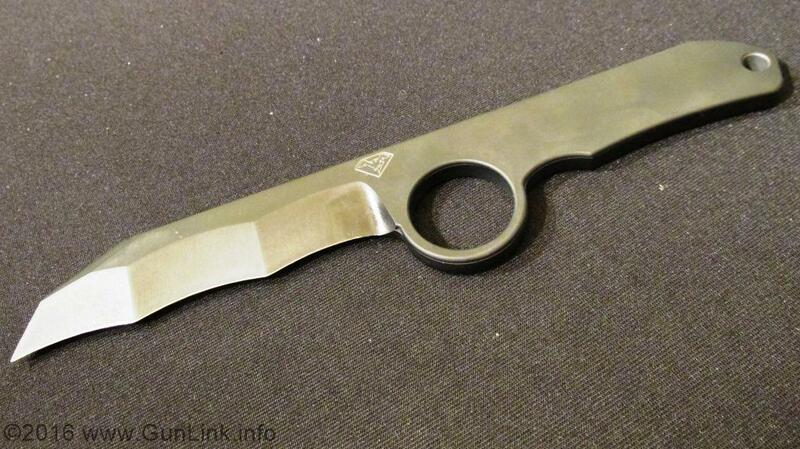 Well, that plus the third block to accommodate Beretta's funny shaped slide. 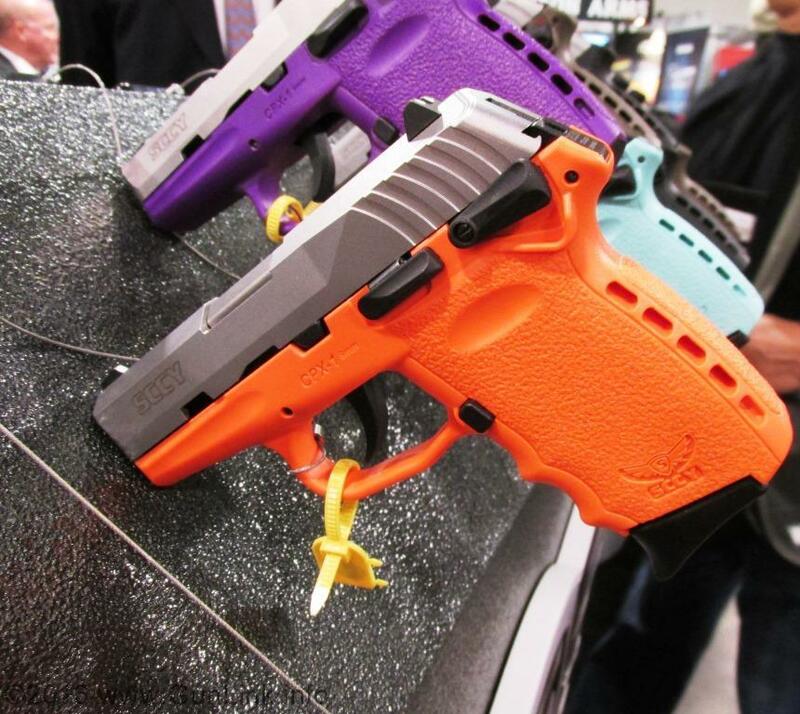 New Colors for SCCY pistols. For a while, these were distributor exclusives, but now it's a free-for-all. 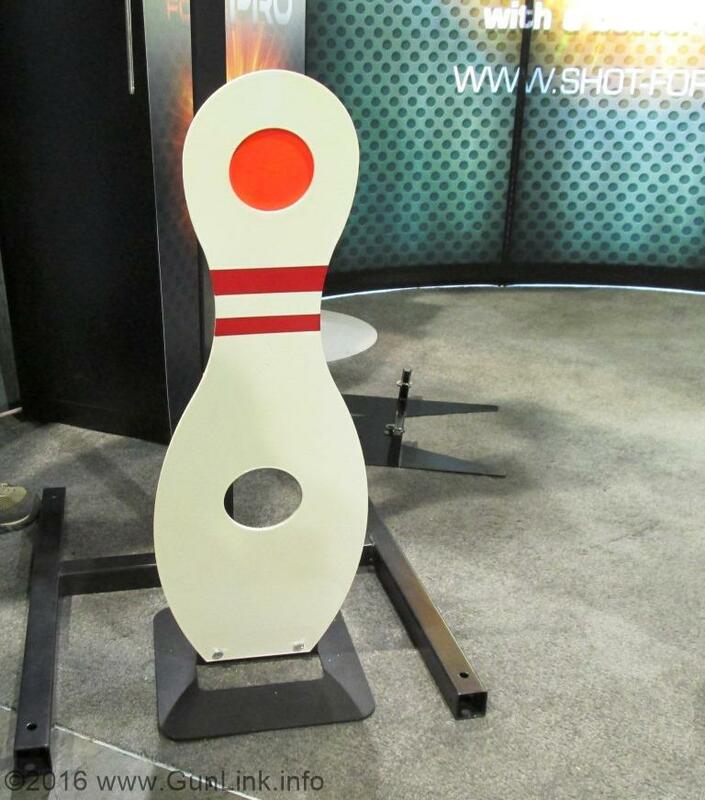 Ask your dealer about the new looks of crimson, sniper gray, and orange. 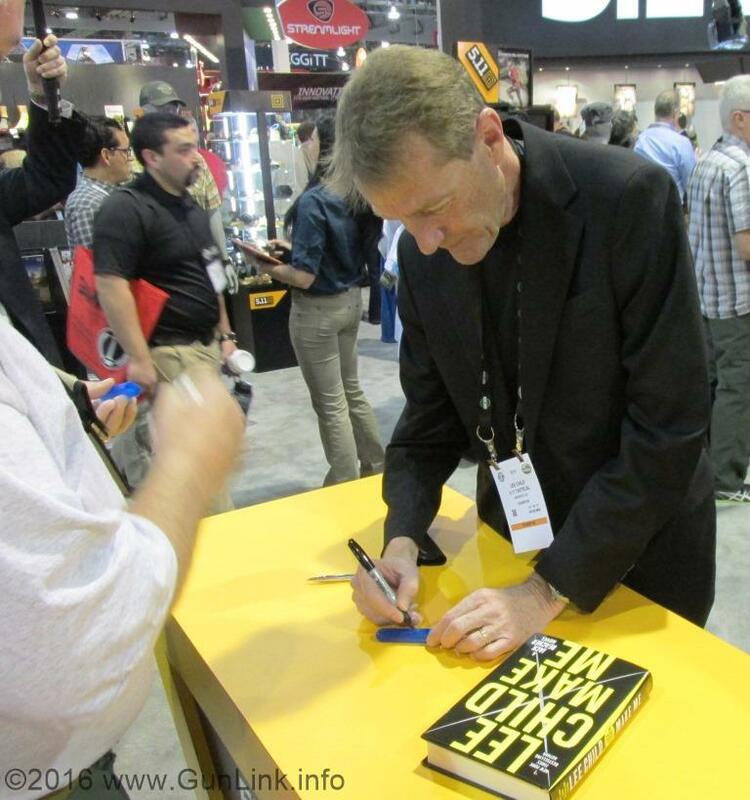 We got to see our pals from Alien Gear Holsters at SHOT Show again this year. 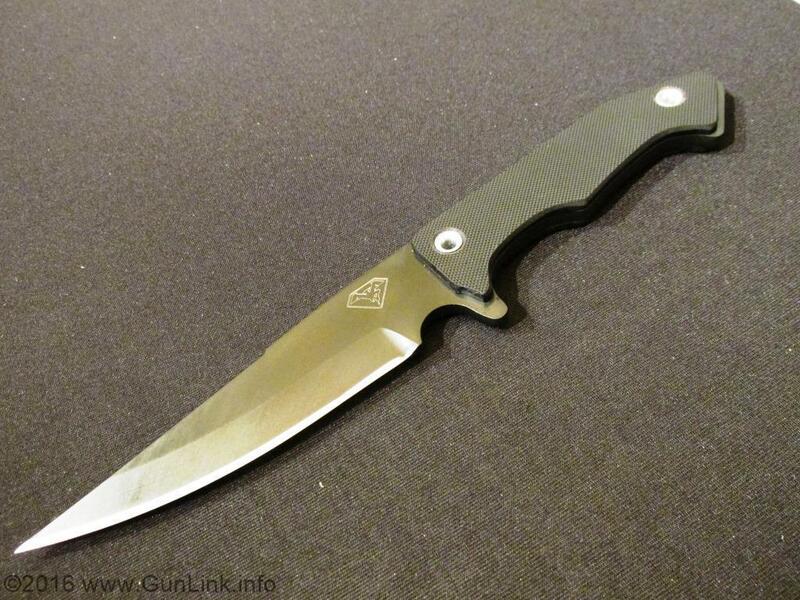 I've been a fan of their quality holsters (and the price, to be sure!) since I first ordered my Cloak Tuck holster (two, actually) quite a while ago and, later, the Cloak Tuck 2.0. 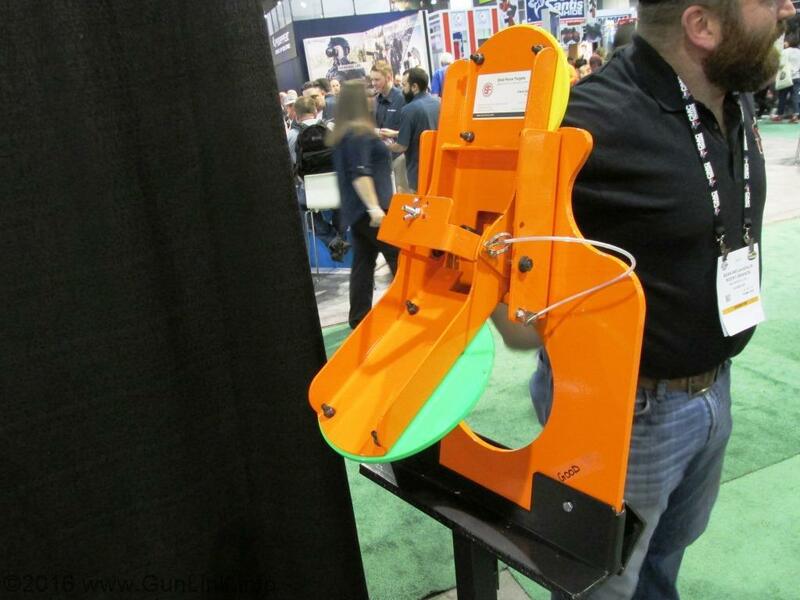 I knew that they had the new Cloak Tuck 3.0 out but I hadn't had a chance to check it out in person, so it was good to see it and feel how sturdy the new internal metal shield and rubber face make the holster feel. That wasn't the big news though. 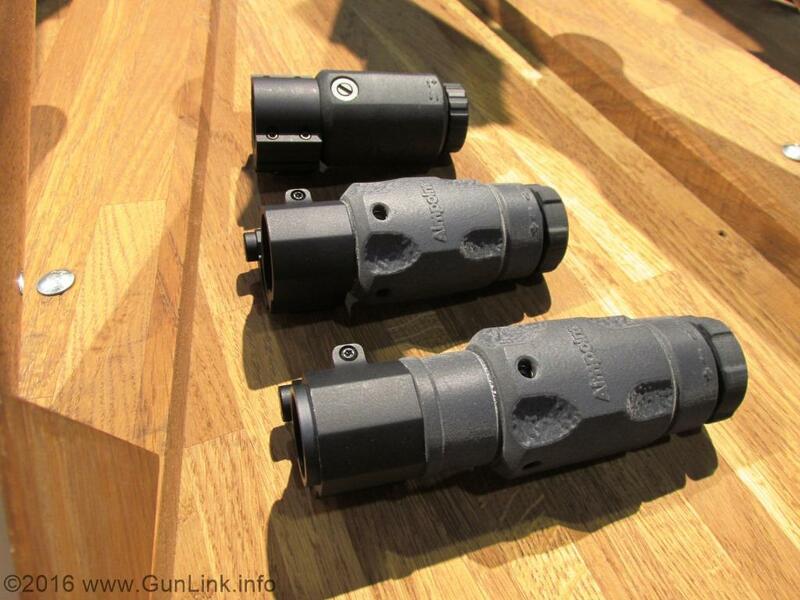 Alien Gear already has an OWB holster that can share swappable shells with the rest of their holsters. 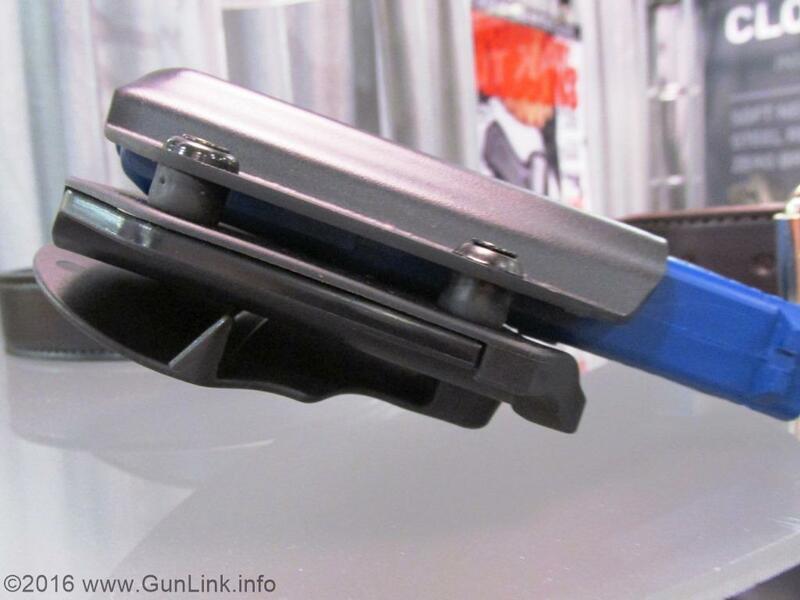 Now they have taken the OWB style holster to the next step: a paddle-style holster that is easier to take off and put on. 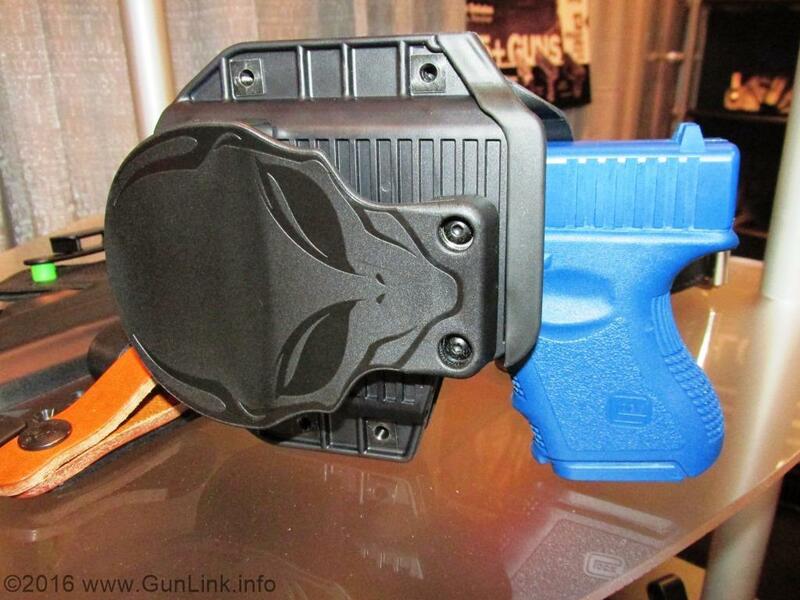 The new OWB holster features a pretty cool Alien the Alien head for the paddle (shame it's hidden), a flexible panel inside to provide a universal fit, swappable shells, and Alien Gear's famous warranty. 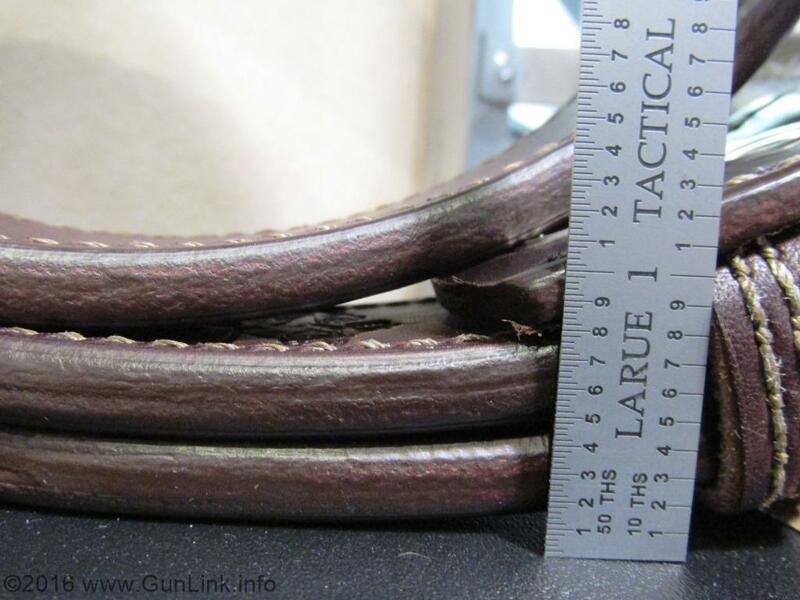 While we were there, we also got to see the sturdy new gun belts from sister company Bigfoot Gun Belts, as well as their own Alien Gear branded belts. 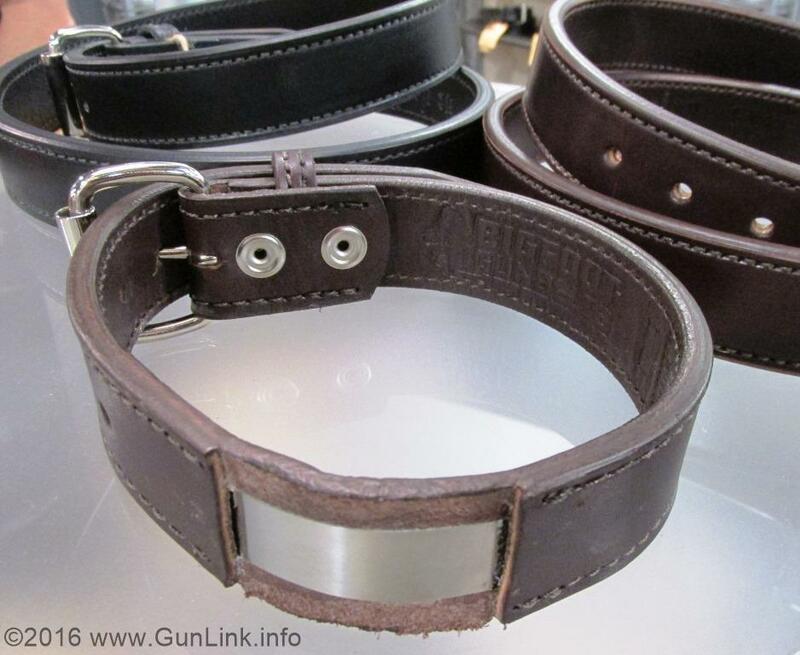 The belts are offered in double-layered leather of various weights, as well as in a reinforced model with a metal band inside to further help prevent belt sag when carrying. 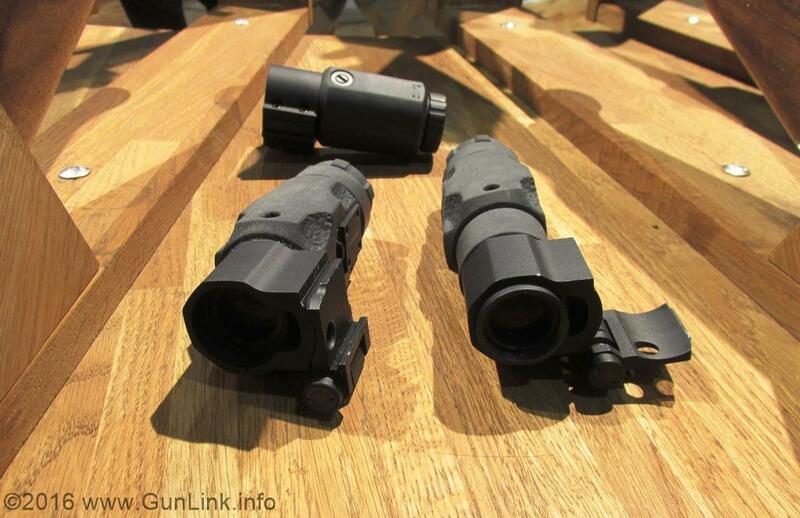 They also had their new 3x and 6x magnifiers, complete with twist-off and flip-to-side mount. 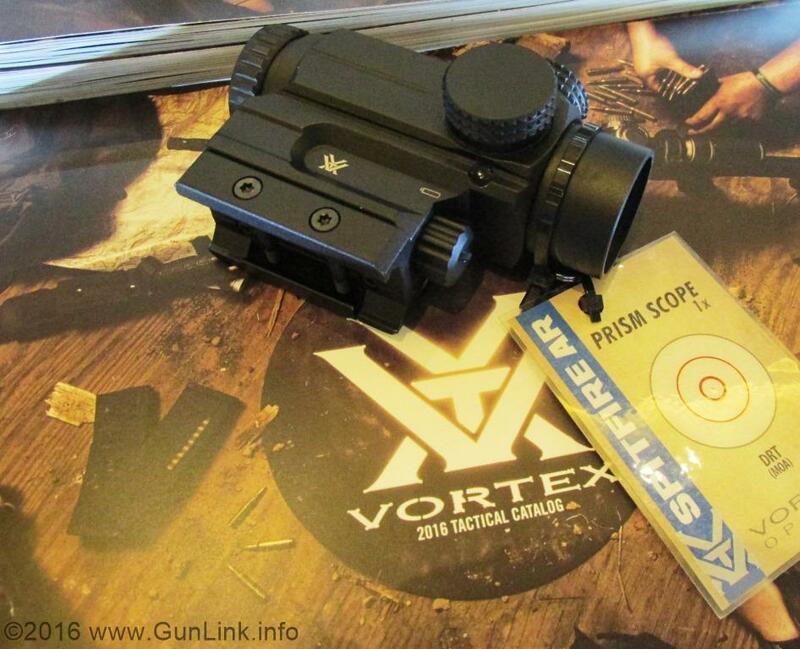 Speaking of AR-ready, Vortex had their new $349 Spitfire AR 1x prism scope and $259 Sparc AR red dot. 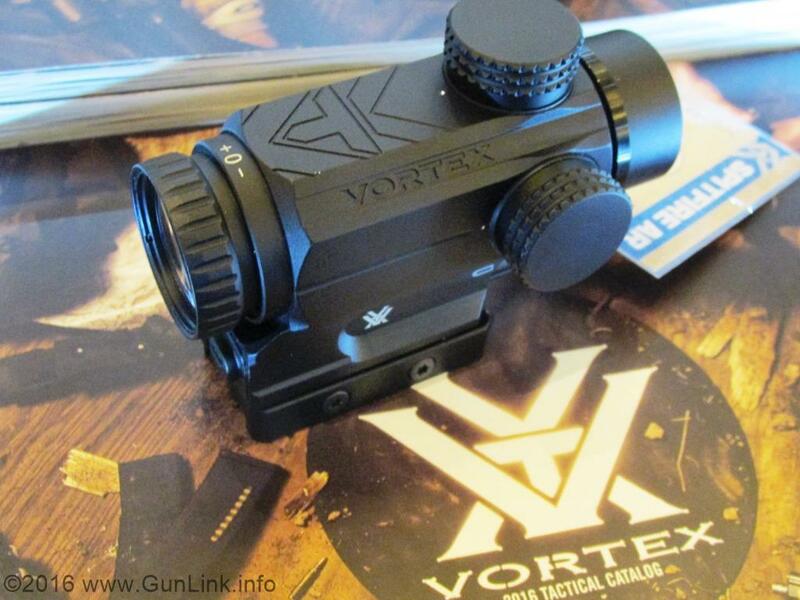 If you're looking for something a little more precise, Vortex also had their new Razor HD AMG 6-24x50 scope. 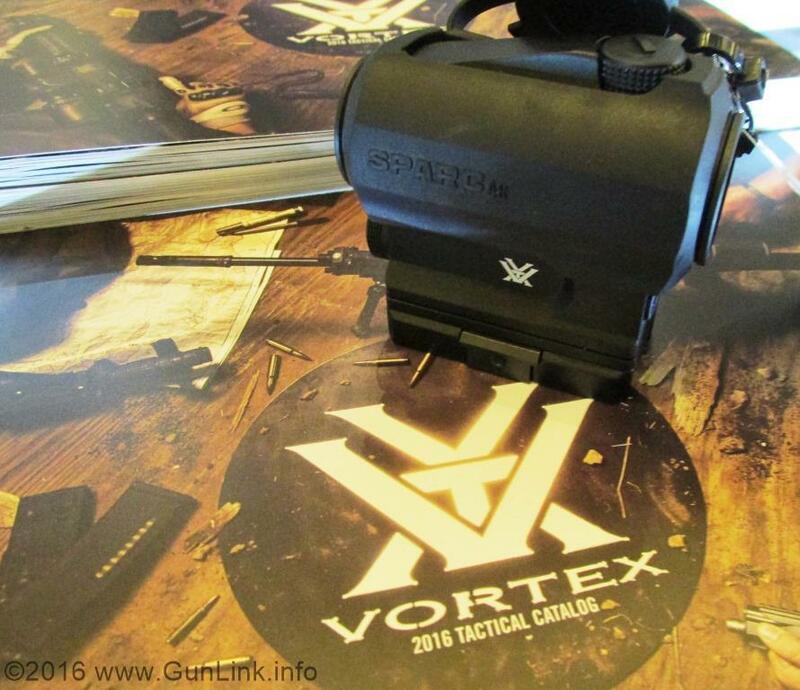 Less than 29oz with a 3.6" eye relief and a 22-7.9' FOV at 100y. 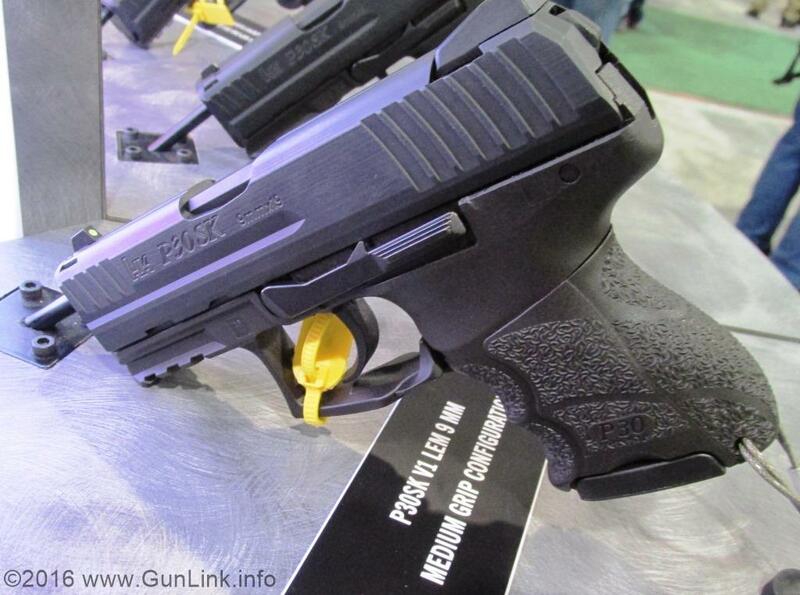 All that goodness comes with a $3,399 MSRP price tag. 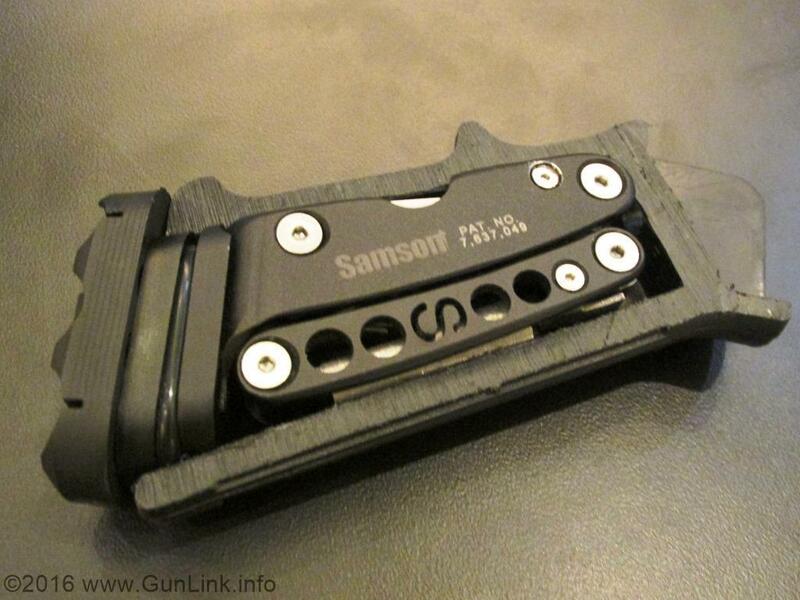 It's been a few years since we first heard about Sticky Holsters right here on the GunLink Forums. We liked our first one so much that we're now up to a small pile of them to fit various pistols and revolvers in the GunLink CCW stable. 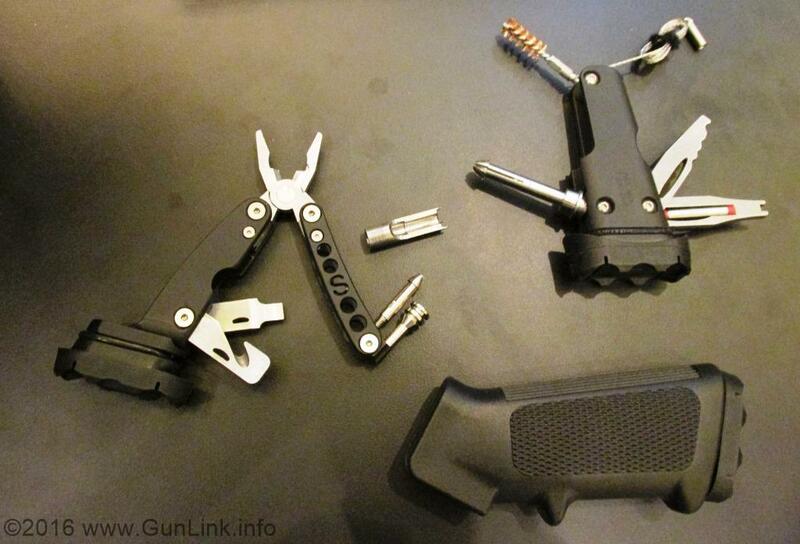 Two years ago we saw an update to the Sticky Holsters that added a Kydex insert to the flexible IWB holsters to provide some structure. 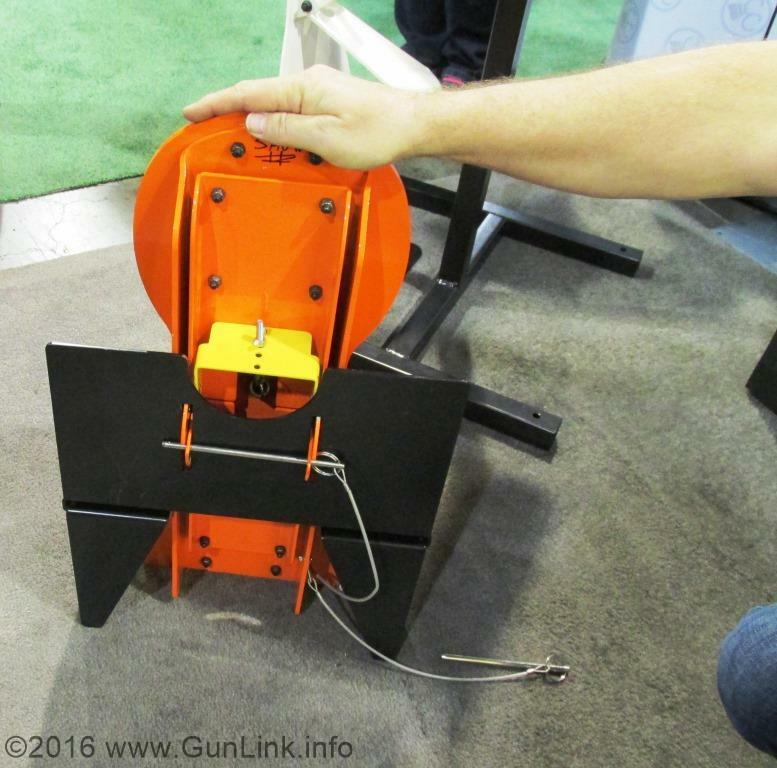 When we stopped by this year, we saw that the inserts for pocket pistols are in full production and that small pistols have been added to the lineup, such as the Shield. 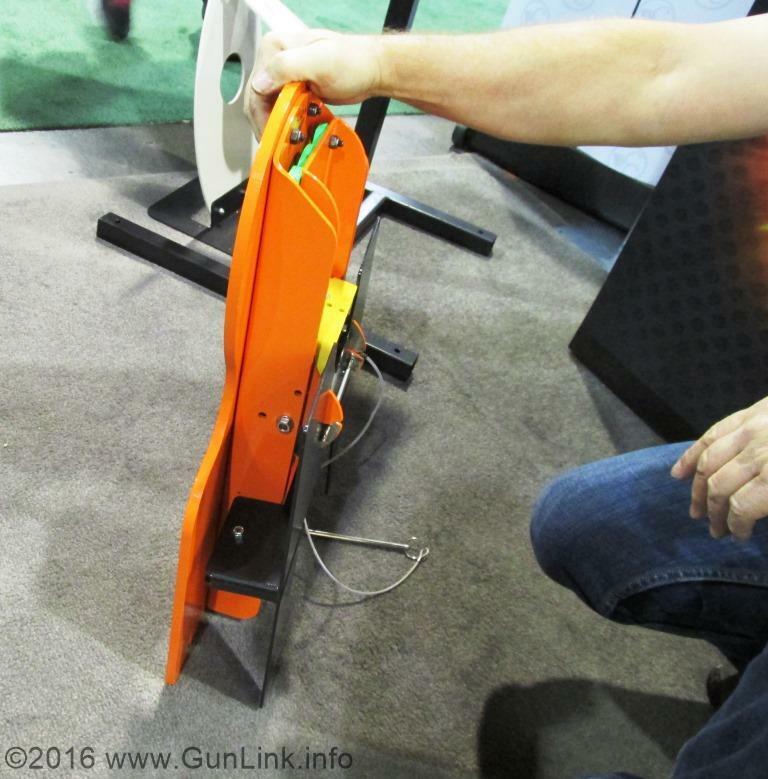 We also got to see a great addition to the Sticky line that has apparently been out for a while but which we didn't know about - magazine carriers - which are already growing into their own full product line. 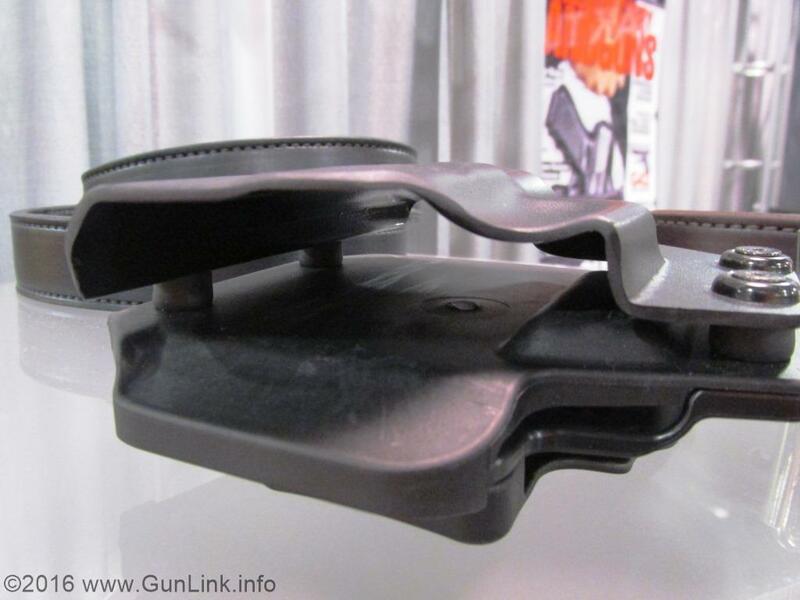 The magazine carriers are made from the same magical material as Sticky's the holsters and now come in a few different flavors, which we'll cover more in depth soon. We also got to see the Sticky garter - thigh holster with some frilly stuff on it. 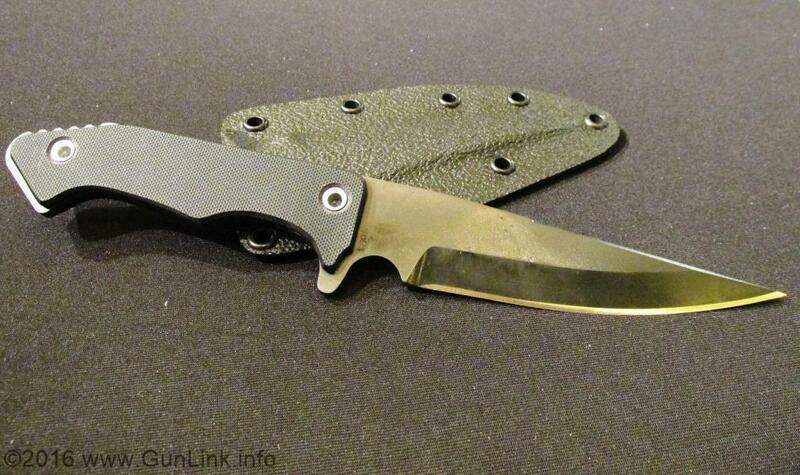 Perfect for discrete carry for a night out on the town. With this kind of carry, there isn't much printing; if you're carrying like this and get "made," somebody is going to be surprised. 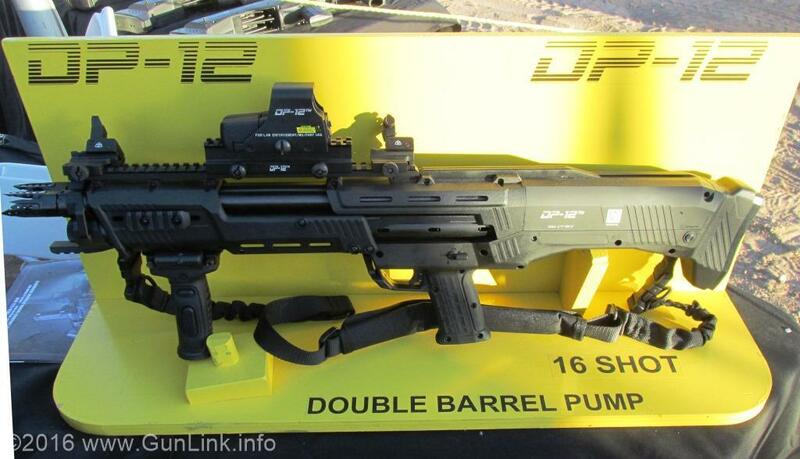 Remember the DP-12 Double-Pump-Shotgun that we told you about last year at SHOT Show? Think "cha-chuck, BANG, BANG, cha-chuck, BANG, BANG" and you have the idea. 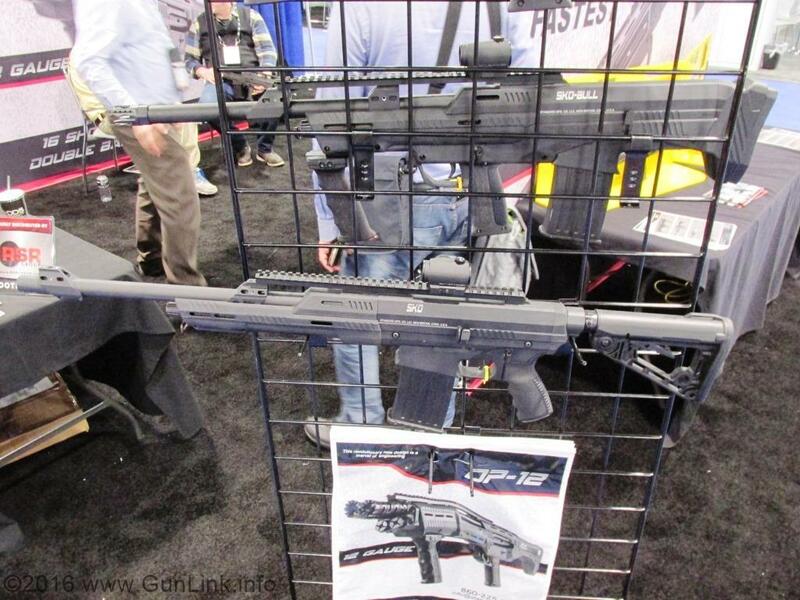 Well, those guys are back with some new shotgun models: the SKO and SKO-BULL - respectively, a semi-auto shotgun with AR-esque controls and a bullpup version thereof. 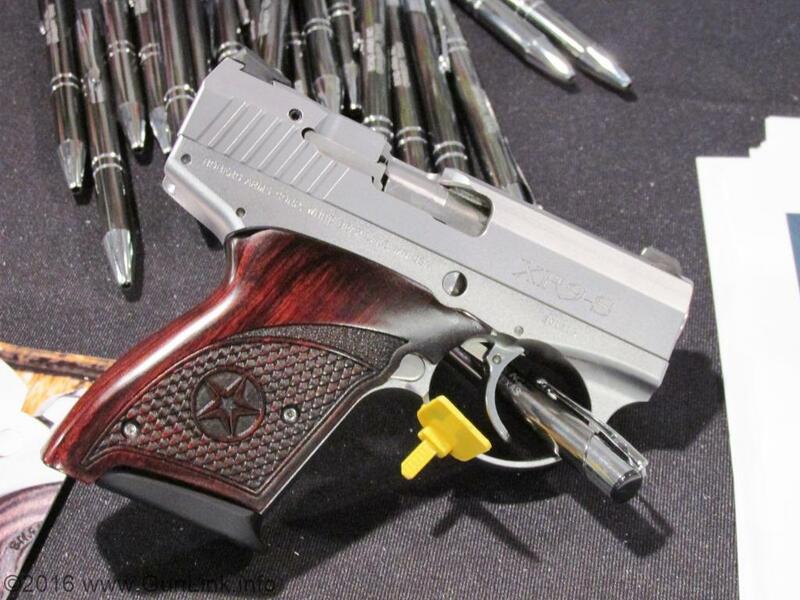 I was intrigued when I saw that Bond Arms - the double-barreled derringer folks you see in the back of every gun magazine ever - was making a semi-auto 9mm now. 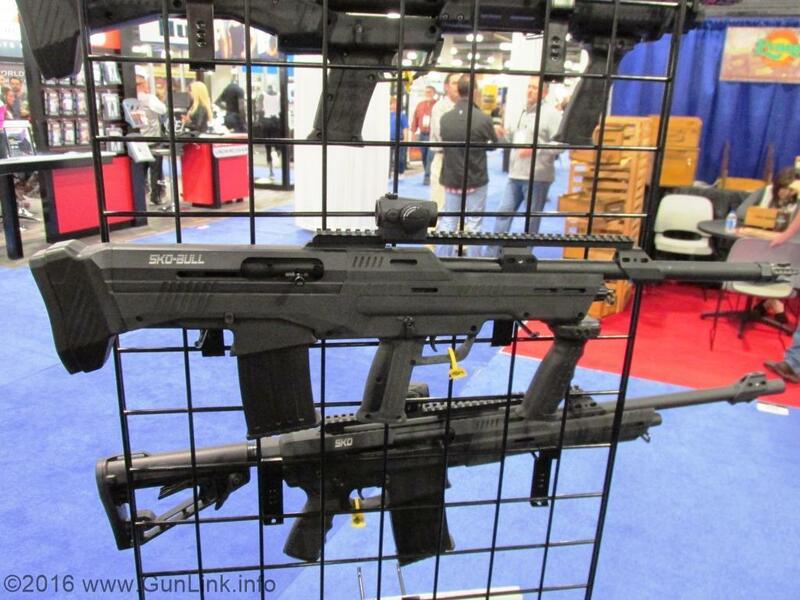 A bullpup design, at that, which gives the performance of a longer barrel with the size of a pocket pistol. 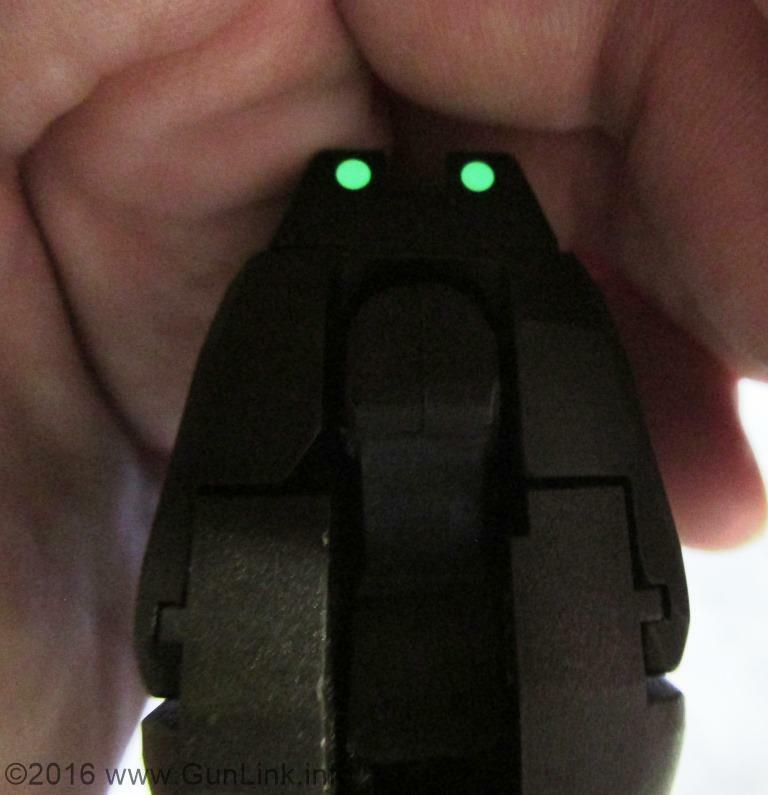 Then, I was hesitant to say "that looks exactly like another pistol I know of" in case there was some kind of bad blood over IP issues. 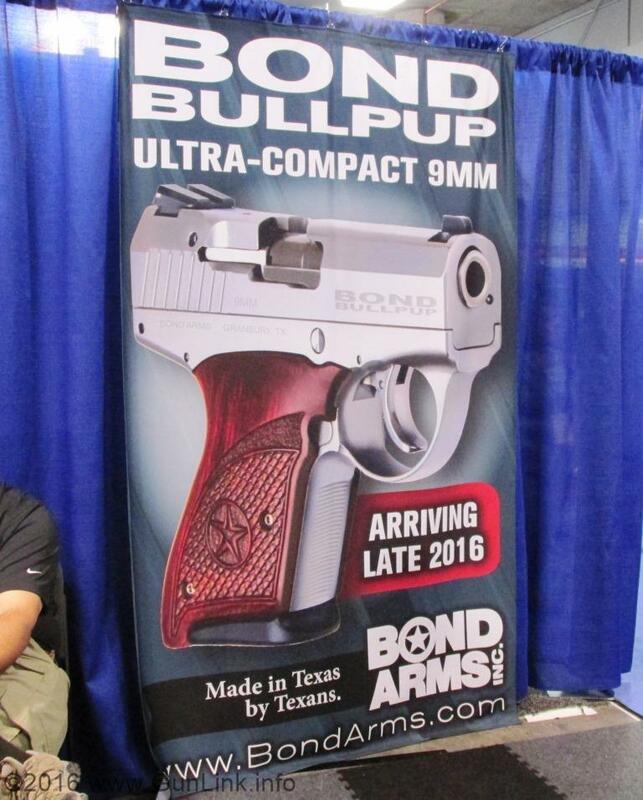 Then I learned that Bond Arms had acquired the Boberg operation and moved it to The Lone Star State where it is "Made in Texas by Texans." 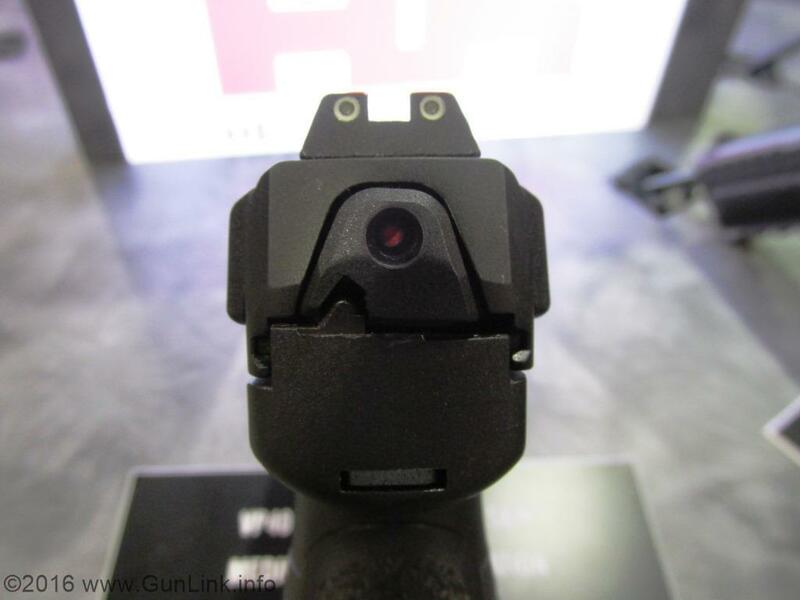 If you're not familiar with the Boberg, it's an engineering marvel of a bullpup pistol that feeds from a projectile-down magazine by drawing the round rearward on recoil and then chambering it as the slide returns. 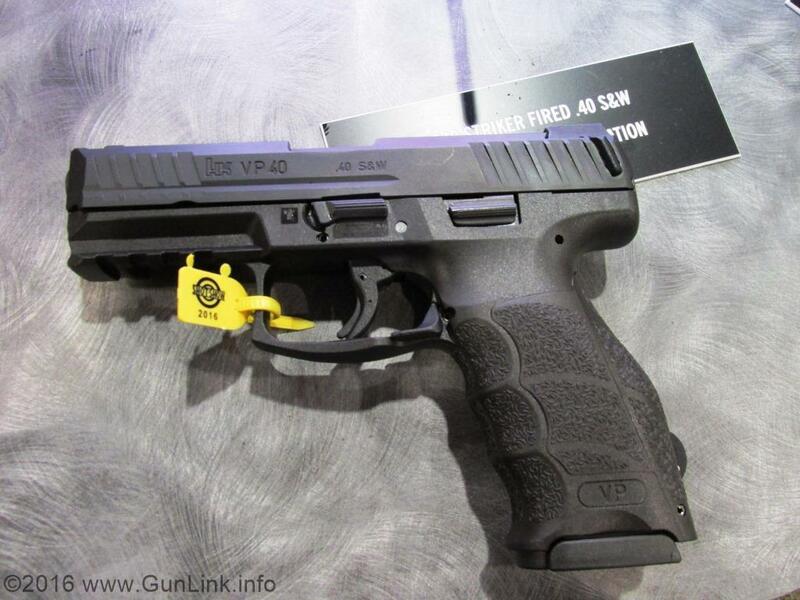 The higher calibers won't be available until later, but the 9mm variant will be available in late 2016. 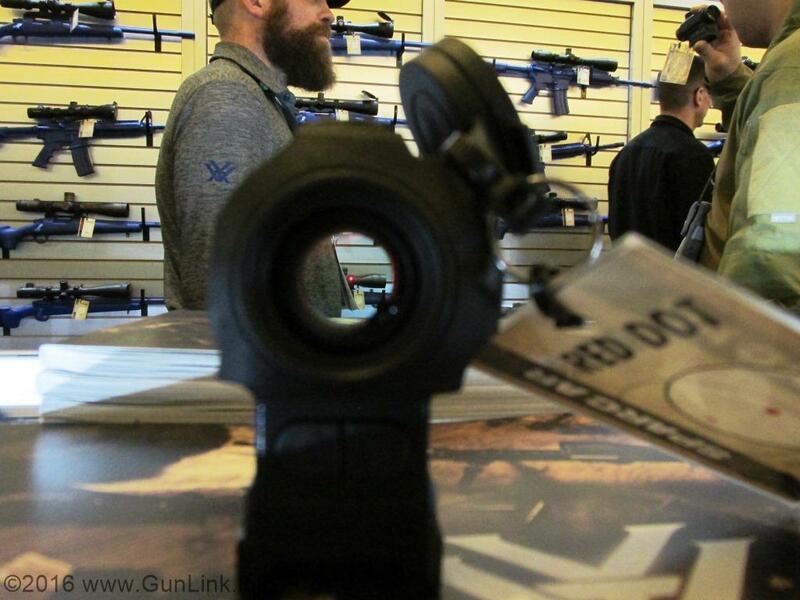 We also got the chance to stop by Tandemkross to see some of their new products that help make firearms, mainly Ruger and Keltec firearms, even better than they already are. 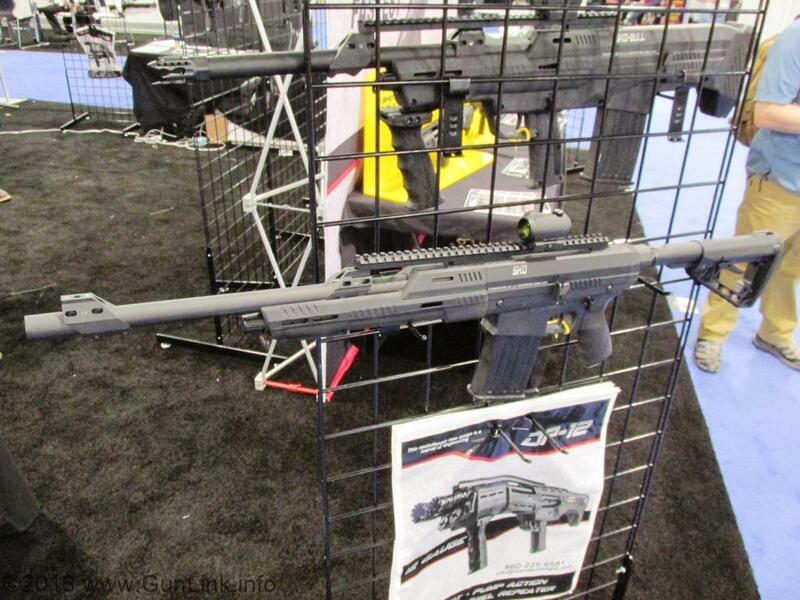 Once such item is the Tandemkross Advantage charging handle/picatinny rail for Ruger 10/22s. 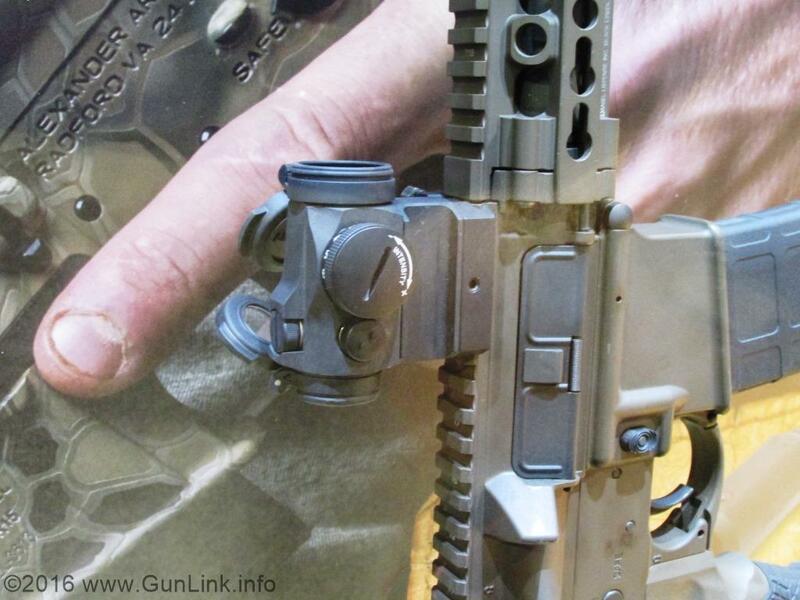 In addition to a pic rail on top of your 10/22, this gadget allows for left-handed manipulation of the bolt handle so that shooters can quickly clear malfunctions or charge the firearm without having to bring their trigger-hand off of the firearm. I have a lot of stuff. You have a lot of stuff. We all like out stuff and want to keep it safe, warm, and dry, right? 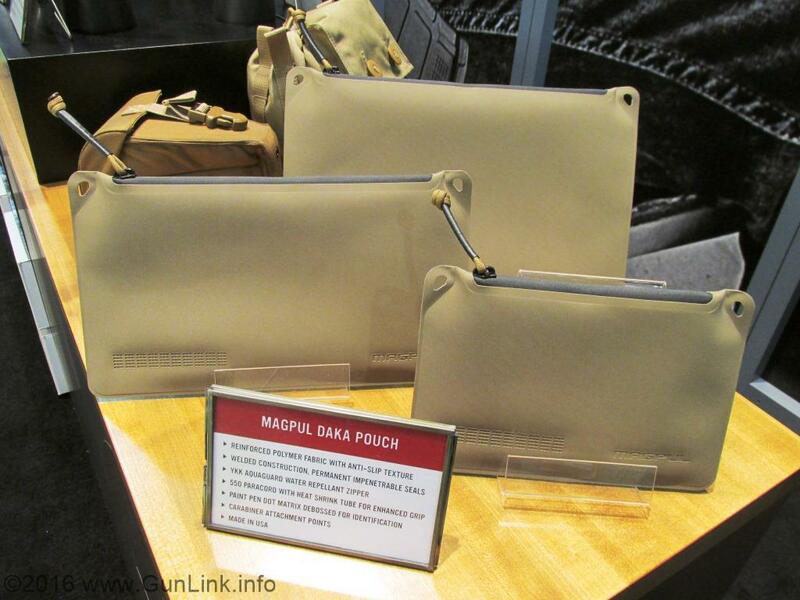 Check out the Daka pouch from Magpul. They've got a whole line of soft goods coming out and this is one of them. Think "water resistant banker's bag on steroids"
Polymer infused fabric with YKK water repellant zippers, heatshrinked paracord zipper pulls, dot matix ident areas, carabiner attachment holes, welded seams, and other features to keep our stuff clean. $17 for the iPhone 6 size version, $27 for the iPad sized version and $23 for the baby bear size.